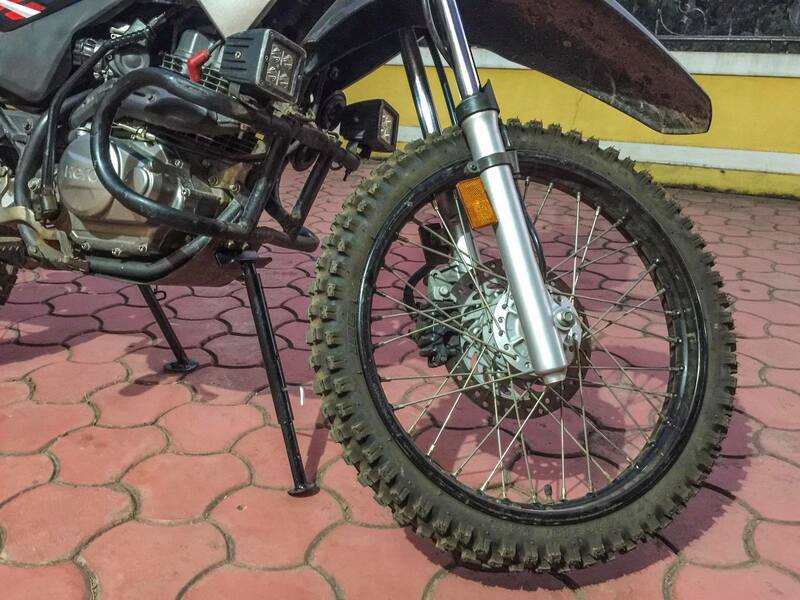 I had a tough time changing my Impulse’s tyres at home due to the lack of a center stand. I propped up each end of the motorcycle using paver tiles lying in my compound and almost dropped the motorcycle a couple of times. I knew there had to be a better way to work on a motorcycle with just a side stand, without needing help from anyone else. I know you get these elaborate stool like dirt bike stands. But those are for working on your bike in your garage. You really can’t carry those with you on a ride. I searched online for a trail stand, but couldn’t find any off the shelf product. 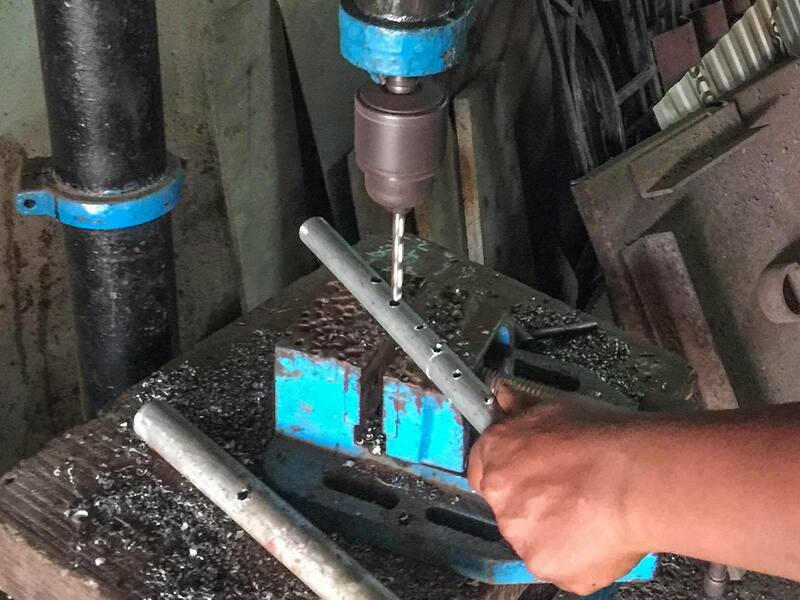 I did find some interesting DIY designs of trail stands and liked one of them. 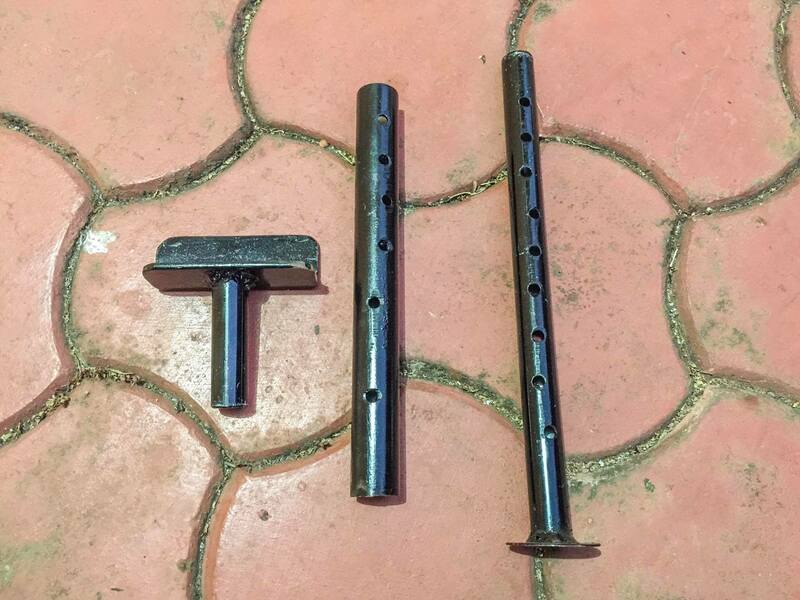 Prajhot Pednekar fabricated this simple three piece trail stand for me today. Depending on where on the motorcycle I use it, the front or the rear wheel lifts up. 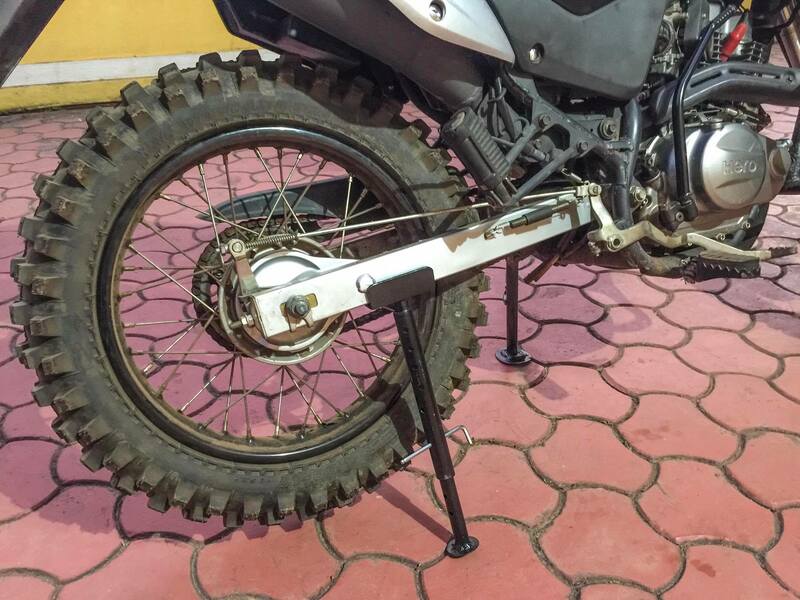 The adjustable nature of the trail stand lets me use it on any motorcycle. It’s quite compact and not too heavy either.